Leonardo da Vinci was born 561 years ago this week; and it’s amazing to consider that, so many years later, he still fascinates. He’s definitely captivated our attention for the 20 years we’ve been doing what we’ve been doing. 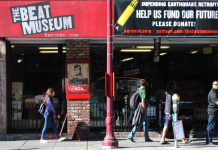 This week we wanted to take the opportunity to look at Da Vinci’s role as a painter. 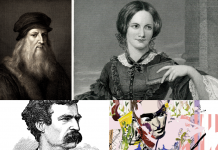 Find below of a list of what we consider to be five great paintings by the famed renaissance artist. 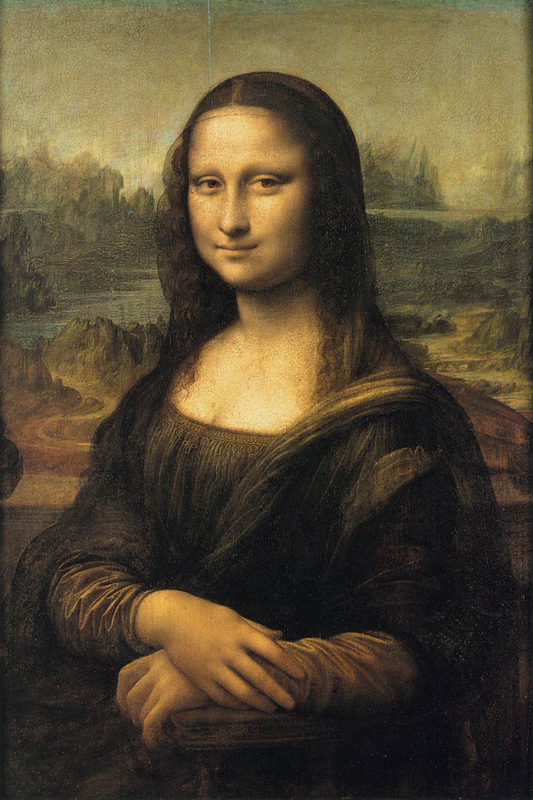 Da Vinci’s Mona Lisa is not only the most famous of Da Vinci’s paintings but probably the most famous painting in the world. Though alternate theories persist, the subject of the famed painting is for the most part believed to be Lisa Gherardini, a middle-class woman who lived in Florence. Why is it great? It’s all about that faint, enigmatic smile. Some interpret it as a sad smile, others a sly expression indicating the woman is hiding something. (Does she have a secret? If so, could it be something good? Or something sinister?) And it’s for this reason that the Mona Lisa is considered the first “modern portrait.” It’s the first portrait to channel, in a way, the psychology of the sitter. After so many years we’re still moved to ask, What was she smiling about? 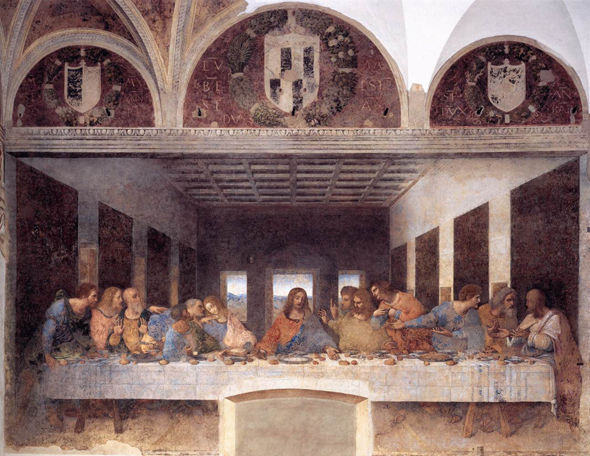 The Last Supper is a mural located in Santa Maria della Grazie, a church in Milan, Italy. It depicts a scene from the Gospel of John: Jesus’ last supper with his disciples, and specifically the moment after Jesus relays the news that one of them will betray him. The scene very astutely depicts the disciples’ feelings of anxiety and dismay upon hearing this news. Why is it great? From a historical stand-point the painting is significant for being the first painting to depict biblical characters displaying human emotions and acting like real human beings. Artistically, however, the painting is a great work of art for its use of perspective. Just about every element in the painting seems to be guiding the eye towards Jesus, the figure at the picture’s center. 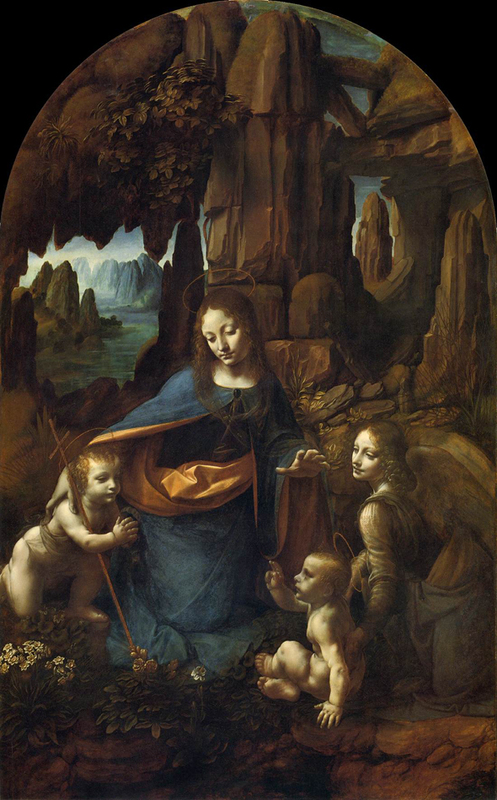 There are two nearly identical paintings by Da Vinci using the title The Virgin of the Rocks. Both paintings depict a rocky setting with a four biblical character: The Madonna, the Christ Child, an infant John the Baptist, and an angel. The subject of the scene is the respect and adoration that John the Baptist gives to the Christ Child. Why is it great? One aspect that makes this painting so great is the complexity and sophistication of the composition. The figures, grouped together in a triangular shape, are all gesturing towards and looking at each other. This unifies the composition and allows the painting to tell more of a “story.” It’s especially significant because the figures in previous eras’ artwork often seemed separate from each other. Why is it great? It’s possibly the greatest example of Da Vinci’s ability to add layers of meaning into a painting. 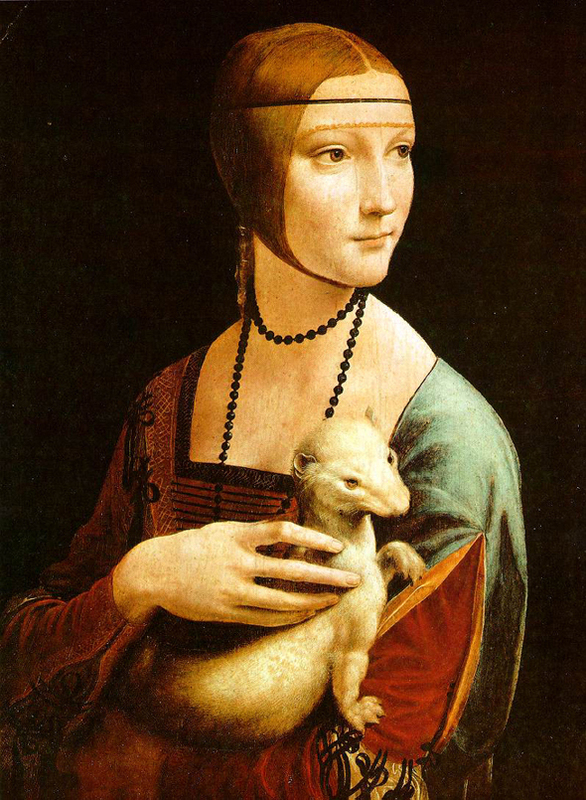 The ermine, for example, could symbolize any or all of the above theories. And similar to the Mona Lisa, it’s groundbreaking both for the relaxed elegance of the pose and for how much it suggests about the sitter (What is she turning her head to look at? Is she listening to someone? What does her expression indicate to us about her state of mind?) In fact, some historians have argued this portrait is superior to the Mona Lisa, believing the subject to be much more captivating and beautiful. 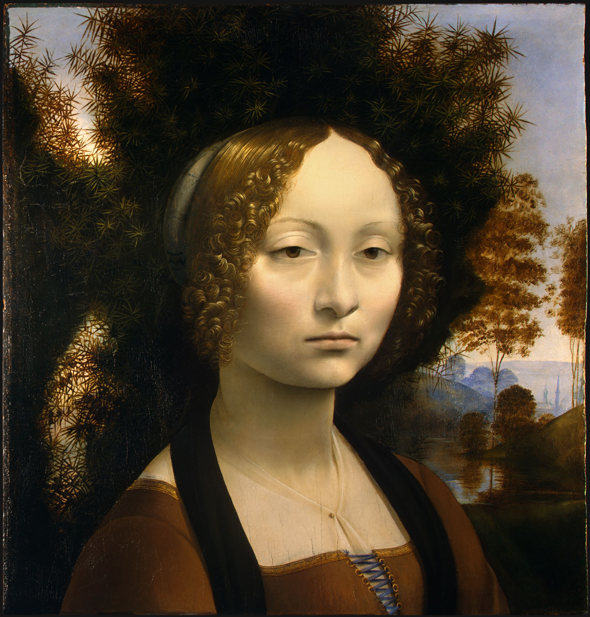 Ginevra de’ Benci was a 17-year-old Florentine intellectual and it is theorized that Da Vinci was commissioned to paint her to commemorate her engagement to Luigi Niccolini. This piece is especially interesting because, unlike Da Vinci’s other portraits of women, she appears to be indifferent or unhappy. One popular interpretation is that Ginevra was unhappy about the approaching marriage. In support of this theory is the juniper sprig painted on the portrait’s reverse side – a symbol, in the Middle Ages, of sorrow and pain. Why is it great? Much like some of Da Vinci’s other portraits, this painting’s greatness has much to do with its mysteries and the different elements that may or may not be implying something. For example, many believe the young woman’s expression to be unhappy or sulky. If true, then why is she unhappy? Or maybe she’s not unhappy so much as disinterested or haughty. As with much of Da Vinci’s work nothing is clear-cut and there’s no shortage of clues to analyze or dismiss – and his audiences remain utterly captivated for it! 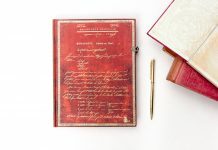 Over our 20-plus year history, Paperblanks has put out three different Da Vinci-related journal collections. (One of which included a design that depicted the Madonna’s face from Virgin on the Rocks.) You can find out more about our years-long fascination with Da Vinci by clicking over to Paperblanks Stories: The Da Vinci Collection. You can also find out about our current Da Vinci-themed collection – the Leonardo’s Sketches Collection, with covers that depict notes and sketches from one of Da Vinci’s most famous notebooks – by going here. Ive copied some of his works and Drawings, and find him an Enigma as all monumental exponants are. I just dont grasp his genious of the left hand in the portrait, Girl with an irmine which i have copied . 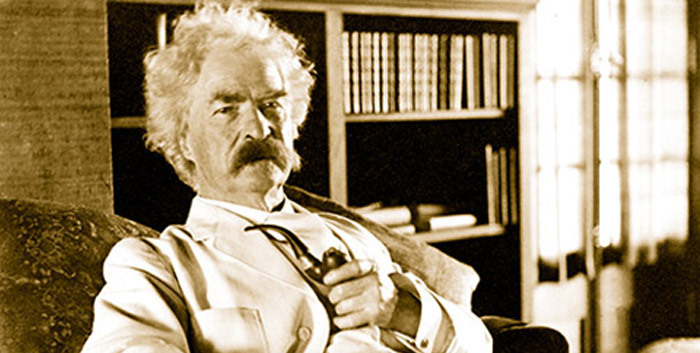 the simple answer is “Time” was short for this man acheived so much. ” ill just fill this with my left hand, its clealy a male hand ? His father a lawyer. Dalis father a doctor Salvador dali a genious too. You can become great by following your own mind, iff you can think that is, r e a l l y t h i n k !!!! mais je suis de banca, di benci, en roumanie, j’observais que les arbres ont les le feueiles de leonardo. nous avons truvee chez le presbiter ortodoxe de 1998 un statuete que ne puvait etre execute q’apres les instructions de Leonardo. Hi Liam, what can we help you with?